I am so delighted to share the cover of K.A. 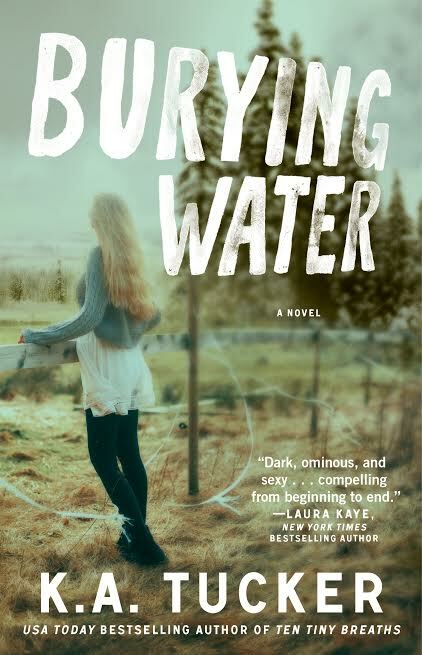 Tucker’s upcoming New Adult Romance, BURYING WATER releasing on October 7, 2014! K.A. Tucker’s novels are always enjoyable and haven’t read one I didn’t like. Ch-ch-check it out! 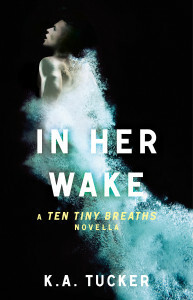 IN HER WAKE is a Ten Tiny Breaths series novella. This book is a prequel novella to Ten Tiny Breaths (Book #1), which was Kasey’s story. 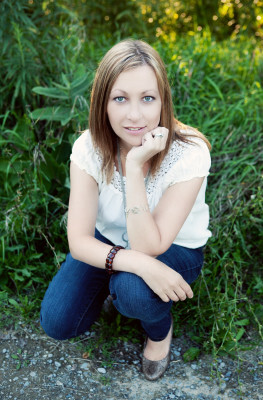 It takes place prior to Ten Tiny Breaths and tells Cole Reynolds’s story and his quest for forgiveness. “And there’s only one person who can give that to him….